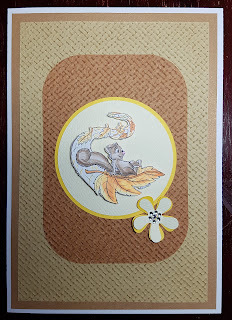 This card uses a really cute squirrel having fun on the leaves. and my sisters handle was Secret Squirrel. Hi Nicky, Another lovely card. very cute card :-) wonderful coloring.